Whether or not we should include critical thinking in English language teaching (ELT) is still a matter of debates and discussions among pedagogues and cognitive psychologists. Those standing for the argument opine that, like in other subjects such as science, social studies, economics, business studies engineering, medicine, etc., learners should develop their critical thinking abilities, because while learning language, they do not only learn through interactions among speakers, but also through reading various kinds of texts. Therefore, they can hone their critical thinking abilities in course of reading those texts. Another reason they put forward is that learning language means being very creative as well as critical. For example, while learning language, learners derive a certain set of rules involving themselves in series of analysis and synthesis activities. Once they have formed the rules of their own based on the input they have received, they start to use the rules they have consciously formed. Not only do they form the rules, they also verify whether their rules are correct listening to the other people speak. Also, they believe that learning language can be accelerated if learners are involved in critical thinking activities. On the other hand, those who are against the inclusion of critical thinking in ELT counter argue that learners can have double difficulties if we wish to foster critical thinking in foreign or second language learning. They believe that students will have burden of learning and enhancing critical thinking skills simultaneously, for instance, the students who do not have good proficiency over the English language cannot be involved in pro-critical thinking activities such as debate, discussion, argument, counter argument, etc., let alone understanding the implied meaning of a discourse. These people believe that it can be best done in the disciplines that are taught in students’ native language, because they just need to think of gathering ideas. It is because they do not need to worry about the words and structures required for expressing those ideas. In order to shed lights on this issue, Choutari of this month has included posts on various aspects of critical thinking. It includes six entries altogether. The first entry is an interview with professor Kedar Bhakta Mathema in which he maintains that teaching and learning activities carried out in our schools to universities do not seem to be sufficient for enhancing critical thinking skills, because they are mostly limited to developing students’ abilities to recall and understand only. Furthermore, learners have become just the passive recipients of knowledge; because they are rarely provided with opportunities to think independently and carry out certain tasks on their own. In addition, he very strongly argues that the concept of critical thinking can be introduced in ELT as well. The reason that he gives is that learning language does not necessarily mean knowing words and structures only, but also using those words and structures creatively. In the second entry titled Why to Be Critical Thinker, Ramesh Khatri shares his own experience of using critical thinking while making a decision in a difficult circumstance. Having shared his experience, he presents some of the theoretical aspects of critical thinking such as standards of critical thinking, fundamental critical thinking skills, characteristics of a critical thinker; and advantages of becoming a critical thinker. Yadu Prasad Gyawali in the third blog post Critical Thinking from Theory to Practice discusses different tools such as Bloom’s taxonomy, Socrates’ questioning techniques, etc. that teachers can use for stimulating ideas, which is essential for the development of higher order to thinking in learners. Also, he presents his experience of using critical thinking strategies for both secondary level students and university level students and argues that the incorporation of critical thinking strategies in EFL classrooms can be very beneficial for the development language and thought. In the fourth blog Critical Thinking Strategies for Resolving Challenges in ELT, Rajan Kumar Kandel overviews the ELT situation of Nepal and enumerates a number of challenges that are likely to be found in our schools and colleges. He thinks that all those challenges can be resolved if we implement the steps and strategies that are followed while teaching English focusing for the enhancement of critical thinking skills in learners. 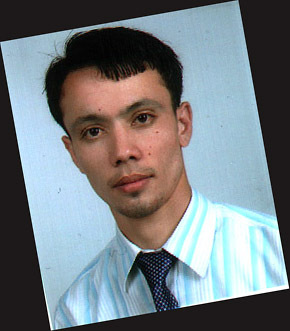 Bishnu Kurmar Khadka’s reflective blog Let Learners Think Critically in fifth entry presents his experience of handling the course New Directions: Reading, Writing and Critical Thinking designed for the B. Ed. first year major English students. As the title suggests, he puts forward his idea that teachers should follow student-centered method of teaching so that they can help their learners to foster critical thinking in them. Furthermore, he claims that due to the traditional way of teaching in which students focus on examination; rather than real learning, he was forced to give notes to his students. Finally, Lal Bahadur Rana in his blog post titled Teaching Reading Texts through Critical Thinking Perspective remarks that many students of the public schools have very low proficiency over English, as they have too limited exposure. He believes that the amount of exposure in English can be remarkably increased with the implementation of critical thinking strategies in those classes. Most important of all, using these strategies in our classrooms, we can make students independent learners. Here is the list of articles we have included for October Issue, especially focused on critical thinking in ELT. Now I, on the behalf of Choutari, would like to take this opportunity to extend our sincere thanks to all the contributors and also urge our valued readers and contributors to please share these articles among your social network and leave comments. Finally, we wish you all a very happy, prosperous and creative Dashain, Tihar and Chhath 2071 B. S.
The Choutari Team is delighted to greet you with the September issue of ELT Choutari! This issue is focused on mentoring, which has remained one of the core values of Choutari since its inception. We began the Choutari Mentoring Project (CMP) as a new initiative to enhance a collaborative learning environment among our readers seven months ago. We are excited to receive love and feedback from the students, teachers, and professionals in Nepal. The continual academic support from both the international and local community of ELT/Applied Linguistic scholars has further encouraged us to develop other news projects in future. We are glad that many of our colleagues are enjoying the benefits of the mentoring project. We would like to thank you all who signed up and participated in this project. In the meantime, we have also received much feedback from those engaged currently in the mentoring relations. We are encouraged by your feedback and do look forward to making this project even more accessible and productive in the days to come. The September issue of ELT Choutari was originally planned to be a forum to celebrate the mentoring relations and to formally recognize our mentors and mentees contributing to the project. However, based on the feedback we received, and with due respect to the contextual ramifications, we have decided to maintain confidentiality of the participating mentors and mentees. This has been an important learning experience from the critical mass of participants, and we are determined to move ahead with a giving spirit to our field. This issue of ELT Choutari, however, has come out to be a special one for a special reason. We have posts from Choutari’s key personalities including founding members and past editors. We have an interview with two successful Nepali ELT mentors Ganga Ram Gautam, Reader at Tribhuvan University, and Laxman Gnawali, PhD, Associate Professor at Kathmandu University, focused on mentoring. Their mentoring stories not only unveil mentoring culture in Nepal, but also present existing perception and attitude toward this in our context. In the second reflective blog entitled “This is How Mentoring Worked for Me,” Bal Krishna Sharma shares his personal learning experiences from the mentoring activities — both as a mentee and as a mentor. Bal has included the names of his mentor (Elaina) and mentee (Tankia) in his story to give a real story that gives insight into how those relations are developed and sustained. Moreover, this sets a great example of how one individual can benefit from both roles. Prem Phyak in the fourth blog post “Not a fix-it shop: Making mentoring productive” is full of practical insights. Prem has offered some strategies that can be helpful to make mentoring more productive and goal-oriented. Drawing on his own experience working as a writing consultant/tutor for the Writing Center at the University of Hawaii at Manoa for two years, Prem’s post focuses on how to make mentoring more interactive, grounded/bottom-up, and collaborative rather than top-down and authoritative. The fifth blog entry ‘Bal Ram Adhikari’s Sharing, Caring and Daring in Mentoring’ is a remarkable story of transformation whereby the writer finds himself as a deliverer of something that he had been longed for in the beginning of his teaching career. Adhikari’s experience paints a not-so-good-picture of mentoring in the context of Nepal, but is an eye opener. Having witnessed and been trampled by the “lopsided” practice of power, dominance, and authority, Adhikari’s writing is a call for an action toward a truer mentoring regime in Nepal’s ELT sector. Finally, we have a photo blog that covers the news from Choutari’s monthly writing workshop facilitated by Hem Raj Kafle, one of founding editors of Choutari. Together, these stories, coming straight out of the experiences of successful people in the field, serve as models to be built on. As can be seen, these stories reveal that mentoring is not about following prescriptive norms and rules — it is largely shaped by what goal, passion, philosophy and background that mentors and mentees share with each other. I believe that these stories are my stories, your stories, and everyone’s stories. P.S. : I would like to urge all our valued readers and contributors to please share these stories among your social network and leave comments. Professional development is an ongoing learning process in which teachers engage voluntarily to learn how their language can be made effective in order to meet the learning needs of their students. It focuses specifically on how teachers construct their professional identities in ongoing interaction with learners, by reflecting on their actions for professional enhancement and adopting them to meet the learners’ expressed or implicit learning goals. Reflections do not only summarize what happened, but also reflect on those experiences and report on what the authors have learned. Through reflection, language teachers share how to improve professional practice, discover what is working and what is not, and explore personal strengths and the areas of improvement. Hence, reflections are not only for action, but also are in and on action to ultimately help teachers develop their professionalism. As continuity to the same ongoing professional development process through reflections, the July issue of Choutari includes a series of reflections on from this year’s examinations of School Leaving Certificate (SLC) and Teacher Service Commission (TSC), to other aspects of professional development such as mentoring, speakers’ club, writing and ELT. In the second post ‘How my mentor transformed me’, Priyanka Pandey shares her story of transformation from a hesitant soul to a confident teacher. Her story is extremely relevant for the useful insights for anyone in a mentoring relationship or seeking to be in one. Likewise, Mabindra Regmi reflects on the ups and downs of his writing journey in the third entry ‘The Write Way’. Mr. Regmi’s rediscovery of his own writing not only shares useful insights on how writing can be continuously improved, but also how it can be a collaborative effort. The fourth post is a compilation of reflections on written test of Teacher Service Commission (TSC), as told by the three successful candidates in the recent massive results. These High School English teachers’ experiences passing the national qualifying test conducted by Teacher Service Commission (TSC) is obviously useful for the incoming cohort of candidates. “The club has made a tremendous impact on me, personally and professionally,” says a stellar writer. Wonder how? The secret is out in Umes Shrestha’s reflective piece titled Speakers’ Club for Professional Development. The excitement brought about by the Choutari workshop is palpable in Krishna Prasad Khatiwada’s piece ‘Reflection on Choutari Workshop: Behind Academic Publishing-Why, How & What’. This reflection piece lists useful tips on finding publishing venues, to avoiding plagiarism, and overcoming procrastination. Finally, the photo blog scribbled with texts brings alive the spirit of emerging writers participating in the academic publishing workshop organized by NeltaChoutari, and facilitated by Bal Krishna Sharma. Combining the sophisticated tools and successful tips, the participants felt equipped to produce academic writing with a fuller understanding of why, how, and what of the academic writing. Now we would like to take this opportunity to sincerely thank all the contributors including the Choutari Team for their support and contribution and we expect more contributions of yours on Chouatri for the upcoming issues. We always welcome your constructive feedback to make our publications more reader friendly in terms of the content and issues in ELT. Hence, we urge you to join the professional conversation on Choutari by posting comments or sharing among your circles via social media networks like facebook, twitter, google plus, pressing likes under the blog entries you have read. Human life is full of tests. We test our blood pressure or temperature in order to make sure our body is functioning well. If the pressure or temperature is at a normal level, then we think that our life style is fine, whereas if any indicator is above or below an acceptable level, we go for treatment. Thus, testing helps us find out about a situation and work accordingly. We teach our students and assess how much learning has been achieved. In order to do so, we take the help of tests. The tests help us assess the achievement of our students and ultimately our own achievements. It further helps us diagnose what worked well and what did not, and go for remedial measures after the diagnosis. Moreover, the test result serves basically two functions- forward looking and backward looking. However, in our context the test in the most cases serve only the forward looking function. In other words, we interpret the result of students and make decision of either promoting or failing them, and the role of test is over. Isn’t it necessary to explore the detailed causes of the failure? Isn’t there chance of fault in the curriculum itself or in the teaching methodology? But nobody seems to bother. We have rarely heard that School Leaving Certificate (SLC) board or universities doing needful to explore the causes of poor result and improving the tests. The authority seems like a machine to give a tag of either PASS or FAIL. Where is interaction? Where is research? Where is change? and when we do not look back after the result, we never get to correct the faults in the system and keep victimizing students. Apart from this, major problems are seen in our test administration system. There is problem in the quality of tests. Be that the SLC or universities tests, the condition is rather pathetic. The English language test papers themselves contain deviated language forms- forget about other quality! We know that a test paper goes through a number of phases before going to examinees. After a test is constructed based on a specification grid, it is piloted. Then it is improved and finalized on the basis of feedback of the pilot. However, our test papers are so powerful, whatever faults they contain, they manage to escape from the grip of our skillful experts! If we compare our so-called standardized test with teacher made test, in the many respects, the latter stands out. Such poorly constructed paper-pencil test of few hours makes decision about a student’s life- a strong decision that determines career and future of the student. In this regard, the test is very serious and critical thing. However, it is taken very lightly in our context. A test of few hours is set randomly and marked impressionistically to make judgement about students’ life. Is the ability of students only what they can fill in the paper in few hours? If not, the test does not have right to make decision about anybody’s life. A test is supposed to test abilities, knowledge, understanding and attitudes of students. However, our test is testing something absurd. It is testing students’ memory (if not memory then cheating skill) and writing speed. This paper pencil test tests mostly students’ memory, calligraphy and writing speed. They are not meant for assessing students’ originality, innovation and creativity. In fact, it is stupid to talk about testing such abilities of students with a few hours memory- driven calligraphy marathon competition! It is this unscientific test that contributes to develop test anxiety in students. They dislike tests as tests are not doing any justice to them. Their actual abilities are never tested through tests. However, their quality is measured with reference to the certificate of such test in the outer world. In fact, this paper-pencil test is destroying the life of many making them mentally handicapped and how can we expect them to love tests. The testing has gained a bad impression because of the faulty process. However, the situation is not as hopeless as it seems. We can do something to make tests worth practising and the subject teacher or expert can be a saviour here. The language teachers can devise students’ friendly test, which will be a modification of formative assessment. Our students’ now need to be assessed based on their classroom performance. Garcia and Pearson (1994) has termed such test as performance assessment. Students’ throughout the session/semester do a lot of things in classroom (at least in schools). They read and write plenty of things, get involved in classroom discussions, express their views, and work in peer or group to solve problems. This requires them to perform actual language skills and abilities. Besides that, they get involved in different co-curricular activities in or outside the institution. Moreover, teacher should assign them to do project works, mini-researches and different other tasks that involve language, abilities, knowledge, understanding and attitudes. Meanwhile, the ongoing internal tests/formative assessment will along. In such a way, whatsoever activities are performed by students in or outside the classroom, teachers need to keep record of them in an individual portfolio. Based on such records, students’ actual assessment can be made, and such assessment is more valid and reliable than a paper-pencil test. This sort of assessment captures actual performance of students. In addition to that, it also encourages them to keep learning throughout the year, which makes students’ learning oriented not merely test-oriented. Furthermore, such assessment makes tests common to students and they no more get scared of tests. However, this kind of assessment demands individual record of students, which maximizes the work pressure of teachers. Therefore, the work pressure of teachers should be balanced. The performance assessment can replace the traditional paper-pencil test in the days to come. However, at present, we can at least use it as a supplement to the paper-pencil test, which can minimize the dominance of memory- driven calligraphy marathon competition! We have attempted to make this issue language testing special as we thought that it is necessary to create a discourse on language testing in order to change the face of present language testing system. So, let’s wonder, ponder, share and care about language testing in this issue. Besides making this issue a language testing special, we have invented a new genre, i.e. ‘interactive article’. The idea is to bring together the experts and readers to discuss and interact on a particular theme and to explore more among ourselves the unlimited possibilities. One of the challenges of the thematic issue is to maintain variety. However, we have attempted to overcome this challenge by raising multiple issues within an issue. In the interactive article, we have brought forward a number issues of language testing in our context, which include multilingual competence testing, formative assessment, professionalism in testing, quality of test including testing listening and speaking in secondary level, faulty test construction process, and administration and validation. Similarly, in the next entry, Balram Adhikari shares his reflection on his own experiences of marking answer sheets of university. His thought-provoking article reveals the quality of students’ writing in university and compels us to ponder upon the impressionistic way of marking the answer sheets. Similarly, it also brings forward the issue of language versus content debate in marking the answer sheets. Not only have we raised the issues but also have attempted to offer some suggestions. Ashok Raj Khati and Manita Karki offer us alternative practice of language testing through classroom assessment based on a lecture delivered by a prominent scholar Prof. Dr. Tirth Raj Khaniya. On the other hand, Umes Shrestha shares his ideas about the faulty system of paper-pencil test in our context and shares his practices of marking the answer sheets in a liberal way. Moreover, he also offers some alternatives to existing testing system. In the same way, in the next entry, on his research based article (Based on his Master’s Thesis), Bhupal Sin Bista explores that listening skill is neglected in teaching as well as testing in most of the cases in the secondary schools of our country. He further explores a distinct gap between teachers’ theoretical knowledge and its application in classroom. He then suggests ideas to teach and test listening skill effectively. Last but not the least; we have attempted to add a bit black humour by depicting a part of scenario of language testing through pictorial. Now, I request you to share what you read and like, drop your comment to encourage writers and join the conversation by writing new entries in the upcoming issues of Choutari. Lastly, I extend my sincere gratitude to Shyam Sharma and Balram Adhikari for their rigorous support and constructive feedback in every step to make this issue possible. Similarly, I am indebted to Praveen Kumar Yadav, Umes Shrestha and Ushakiran Wagle for their physical and moral support to materialize this issue! Whenever the New Year arrives, we renew the journey planner of our life; our life begins once again with great excitement that promises new success. The planner doesn’t discriminate what is doable and what is undo-able; it simply acts as a path setter. We follow the path, which guides, and what actually happens is serendipitous. Life is like that. Our professional life is not very different from that. It resonates our normal personal life. The journey of NeltaChoutari has also been renewed recently with the arrival the Nepali New Year 2071. And yes for sure, we have resolutions for this year too. We don’t have a written planner, a chart or a calendar where we can make notes, but, we have a portable plan with organizing chart in our mind. This is our beacon for the year ahead. We are sure this planner will help us by directing our best efforts to make the Choutari able to gear up with its success. It will open newer avenues that will lead us to chart news horizons. Our journey is sure to be serendipitous. Be ready to become the surprisers. Choutari has set to serve such surprises, not at one time, but successively in the months to come. Our success is based on your (you, the readers) effort and collaboration that come through your contribution of articles and your readership. Choutari team of editors will always be busy supplying you with substantial information along with materials but your participation is what makes a difference. We have planned to expand activities of Choutari by incorporating a variety of reading materials and resources important for your research work, paper writing and, of course, for classroom teaching. The benefits will be serendipitous. The May 2014 Issue is serendipitous in real sense. This month we have come up again with a variety of blog entries, ranging from teaching grammar and vocabulary, and learned centered approach to teachers’ development through teachers’ club, and self-reflection of using YouTube and journal writing for developing fluency and writing in English. Besides, for this issue, we have a special blog entry on post-colonialism in Indian literature. Isn’t it an array of diverse ideas and experiences? We hope you find these stuffs useful. Now we invite you to join the conversation again by sharing your responses as comments under any posts, by liking and sharing them with your network, by contributing your own posts for future issues, and by encouraging other colleagues to do the same. —- Please note: Choutari Mentoring Program is ongoing. We would like to extend our utmost honor to two participating mentors and cordial thanks to three mentees currently engaged in the program. If you are interested in providing mentorship to emerging scholars or seek a mentor to grow, please click here. Along with my fellow editors, I am honoured and delighted to present you the April issue of Choutari. Choutari has always been a true source of inspiration for many teachers ever since it was published in 2009. It has been catering the needs of thousands of teachers in many countries now. We are really inspired and encouraged to see support and appreciation of our valued readers. We invite you to join the conversation again by sharing your responses as comments under any posts, by liking and sharing them with your network, by contributing your own posts for future issues, and by encouraging other colleagues to do the same. Please join the conversation by reading, and sharing your reflections as comments. This will help many readers get new ideas and help you develop skills to look at things critically and present yourself professionally. We also request you to let other people know about NeltaChoutari. We took an extra week to publish this issue, but the time has been worth it! As we present the ‘NELTA Conference special issue’, including an amazing set of blog posts based on the 19th International Conference, we are excited by many things. We have continued our tradition of the special issue after this important event for Nepal’s ELT community. We are also proud to see the emergence of new venues of professional conversation, most significantly the “official” blog started by NELTA (www.neltaeltforum.weebly.com). We see such development as the community’s dream coming true, because there should be more venues of professional conversation, some run by individual scholars, others by groups, some less structured and formal than others, and so on. We remain an independent community of bloggers who strive to publish the voice of other colleagues on top of ours, in the spirit of the Nepali way, building scholarship from the ground up. We remain inspired by the passion for promoting critical pedagogy, promoting local scholarship, incorporating the voices of local teachers, writing ourselves to value the voices of teachers on the ground across the country, and fostering creativity and innovation in the teaching of English… drawing on global scholarship for promoting local professional practice. We continue to explore new landscape, ask new questions, and try new ideas. Our strength lies in our ability to engage almost 3,000 visits to the site every month from more than 80 countries around the world, and in the achievements reflected in almost four hundred blog entries, a thousand comments, 1.53 lakh total views. Former and present editors and also the ELT community have put in a lot of hard work and dedication over the years. And we are driven to take Choutari to new heights every year, building on our strength in quantity and quality. Now to focus on the theme of this special issue — The conference was held in two phases, first in Kathmandu and then in Hetauda, under the theme, ‘Authentic Assessment: A Paradigm Shift from Traditional to Alternative Assessment’ and it was attended by over 600 presenters and participants in Kathmandu, and by over 300 in Hetauda. It has become a tradition in this blog to dedicate an issue to the conference and to show our solidarity and respect to NELTA as an organization that we belong to, and to all English language teachers and professionals all over Nepal. Let me start by sharing my personal reflection. Initially, the theme of the conference didn’t really create any interest in my mind. However, after attending the plenary sessions by Professor Stephen Stoynoff (US), Professor Keith Morrow (UK), and Professor Z.N. Patil (India), and pondering over what they presented and shared, I realized the gravity of the issues related with testing and assessment in our context. For far too long, and for the worst, we have snubbed our learners and students based on the results of one-off examinations. We, both teachers and parents, have robbed them of their true potential and pushed them into the dark ‘You’re a failure’ zone. I have always thought that our assessment system had holes all over it, but now it seems to me that it is a total disaster. For years, the primary objective of our traditional assessment system has been about how to make students pass the tests (or how to make them fail the tests), instead of how to make them literate, proficient, and talented. Our teachers may have changed with time, our students too – but the curriculum and assessment system has not changed at all. It is still ‘old’ and terribly traditional, and it constantly victimizes numerous learners and students. Out of fear and pressure, students study only to pass the test, unfortunately, not to be educated. And, as one of our writers has said on this blog, this is the tragedy! So, this is what I’ve decided. The next time I enter the classroom, I will not judge any student based on their performance on the exams. This is one idea that I’m going to take from the conference into my classroom. And specifically, I will never hold any biased or indifferent attitude toward ‘low-scorers’ or ‘under-achievers’ because now I can understand and empathize with their struggles, motivation (or lack of it) and various external reasons which are somehow the spiraling repercussion of a very ‘poor’ assessment system. I might have painted a very bleak picture of assessment and its objectives but it’s time to get real and it’s time to act. We must act, individually and collaboratively, and raise enough strength to wipe out the damaging consequences of one-off assessments, like the SLC exam. Prof. Stoynoff quoted Bob Dylan and said, “Times, They Are a-Changing” and indeed, the concept of assessment and its purpose is changing. The change, however, must be towards viewing assessment through sociocultural perspective and the change must be towards teachers and authorities taking more responsibility. Having said that, here I present the blog entries of this special issue. Besides the conference related posts, we have also included Gopal Prashad Bashyal’s experience of attending a BELTA Conference held in Dhaka of Bangladesh. Also adding some variety, former and current Choutari editors, Shyam Sharma and Uttam Gaulee, have collaboratively written a reflection on a recent Choutari meeting. And, finally, to go along with the reports, reflections, and essays, we have also included a photo-highlight of both phases of Nelta conference. After going through the blog entries, please post your comments and feedback, and help us experience an enriched professional communication. And, please don’t forget to join our new initiative – Choutari Mentorship Project. Some of our colleagues have already started benefiting from this project. We sincerely thank all participating mentors and mentees. You can also watch a short video by Uttam Gaulee explaining the purpose of this project here. This video was part of a presentation in the 19th International Conference of NELTA in Kathmandu. As usual, please like us on our Facebook page, encourage writers by liking their posts, leave comments, share what you like on your network, and contribute your own blog posts for future issues. 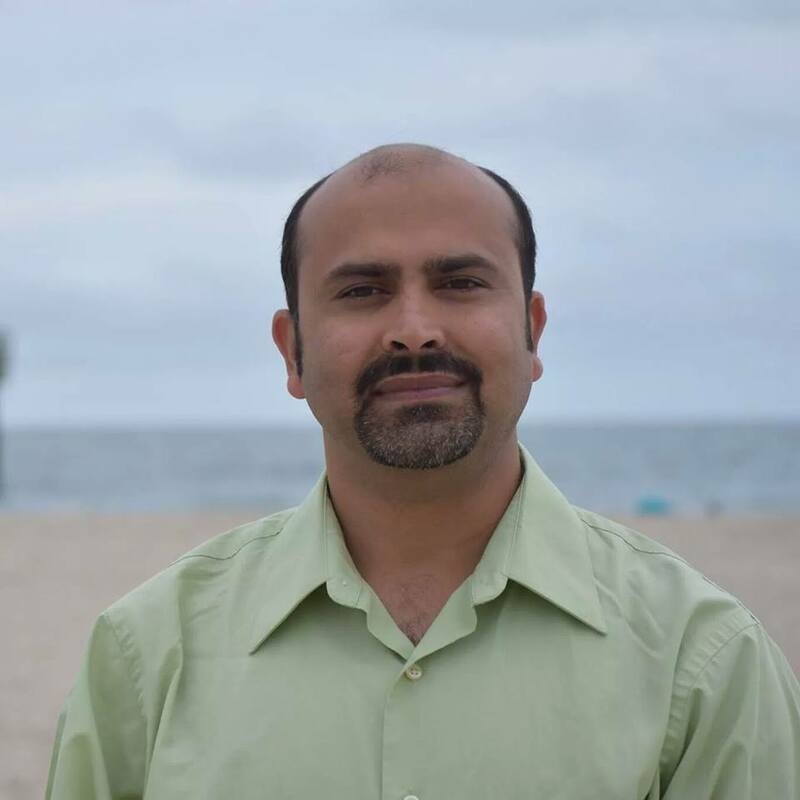 Along with my fellow editors for February, I am honored to greet our Choutari audience with the first issue on behalf of the expanded team of editors (added a new member again this month–see his bio below). When it comes to professional networking and contributing to a network, bigger is better! Let me start by saying that I am excited because I believe that our big new team will serve you even better ELT khurak in the days to come. Thank you for being here! As you may have noticed, the quality of materials that we have been publishing has (naturally) varied, and this is because we have not yet implemented a rigorous enough peer-review mechanism. To be realistic, we won’t implement anything like what conventional journals do–and indeed, we don’t want to. A blogzine needs to remain flexible, as well as doable within the limits of the monthly cycles and our volunteer work. However, starting this month, we will be implementing some wonderful new ideas. And we need your support as writers and mentors (if you are able to the give a little time to help the Nepalese ELT community). Just to give you a sense about what happens in Choutari before the sun rises every beginning of the month, both the editors and the respective authors generally engage in a conversation for reviewing and editing process. More than half of the entries published here required not only substantial feedback and comments but also guidance on proper language pitch and cohesion. The team has been providing such supports to the contributors by connecting them with the team members and the experts beyond the team. The concept of supporting the emerging writers to bring an impact in the long run was further refined when I joined the team and pitched my idea. To put it in another way, behind the monthly issues of the blogzine ‘NeltaChoutari’ is a great community, and that community is characterized by intellectually invigorating discussions, collaborative work for collecting and producing quality materials, and efforts to support and mentor emerging writers in the Nepalese ELT community. It led to the new initiative Choutari Mentorship Project (CMP), which I would like to formally announce through this editorial. The links to mentor and mentee survey forms are provided at the footnote section of this blog post. Thank you in advance for your response. The CMP is an attempt to make the process of mentoring more organized, more broad-based, and more productive. From our own experience, we editors have realised that the concept is very powerful and could help support the larger audience toward improving their writing skills (specifically) and engagement in professional conversation through networking (more generally). The project is also an attempt to make visible what goes behind among a friendly and informal group of active and productive scholars. We are directed by a strong belief that having a mentor tremendously increases possibilities of ‘growing’ as a successful writer. Thus, we are developing a simple mechanism for tapping into the expertise and encouragement of a more experienced colleague for anyone who wants to contribute to Choutari. Going through the process mentioned above, I along with my fellow editors for February have come up with a variety of good materials for this month. In the light of her own personal upbringing as a female in Nepalese society and then in the academia, Sweta Baniya discusses the social constructions of gender and gender roles. In her post, titled “Gender through Socio-behavioural and Academic Perspective,” she presents gender identity through social and intellectual lenses. She also appeals the audience to share their views and thoughts about gender and gender role particularly in the context of ELT and their professions in general. In the second entry, Using Corpora in English Language Teaching, Hima Rawal argues that using corpora could be one of the most efficient ways to teach language. Inviting English language teachers, textbook writers and researchers to use corpora to add value to their works, she presents some of the most prevalent corpora in the field of ELT, briefly discussing how to use them in the ELT classroom. Based on the personal experience, the third entry (Storytelling for Learning Language with Fun) by our colleague Santona Neupane argues that we should tap into the power of storytelling to improve and develop language skills and creative thinking while making lessons fun and engaging for our students. The fourth blog entry contributed by Pramod Kumar Sah is a continuity and response to highly thought-provoking ideas presented by Prem Phyak, Bal Krishna Sharma and Shyam Sharma in the post titled Shifting Focus: Building ELT Practices and Scholarship from the Ground Up written last month. The entry had presented a broad and powerful proposal for reinvention of Nepalese ELT from the ground up. Shah’s entry takes their ideas one step further by situating them in the context of classroom, textbooks, and such other specifics of ELT practice in Nepal today. 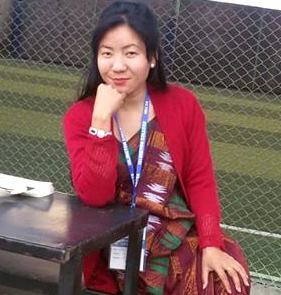 The fifth entry titled Five Books That ‘Changed’ My Life is our Choutari colleague Umes Shrestha’s unique initiative for Choutari to offer the audience not only a list of inspirational books but also how they contributed in changing someone’s life. For the same, Hem Raj Kafle shares with the readers how the five books that he read have shaped his writing and added value to his life and career. It is an insightful account of his personal journey growing as a scholar, a writer, and a critical thinker. In the final entry, An Access Teacher’s Reflection on ELT Training, Mandira Adhikari, a teacher from Microscholarship English Access project implemented by NELTA in partnership with the US Department of State/US Embassy Kathmandu reflects on a two-day training and how the series of training sessions delivered have been effective for her classroom. We invite you to join the conversation again by sharing your responses as comments under any posts, by liking and sharing them with your network, by contributing your own posts for future issues, and by encouraging other colleagues to do the same. If you’d like to be a part of the Choutari Mentoring Project, please take the survey(s) below. Mentors: If you would like to help out other writers, please share a few things about that interest through this survey. Writers: If you’d like to be connected to experienced mentors for improving your blog posts for Choutari, please let us know a few things through this survey.